The article titled “Pay Attention: Ritalin Acts Much Like Cocaine” was published in August 2001 in the Journal of the American Medical Association (JAMA). It’s not likely you’ve heard about it. Pharmaceutical companies do their best to ensure we hear something altogether different, something like this: “Psychiatric medication—just like insulin—restores the chemical imbalances that cause mental illness.” To get that message across, they spend billions of dollars on TV commercials. They also spend billions of dollars on drug representative visits to doctors’ offices, advertisements in medical journals, and seminars for doctors. Pharmaceutical companies even help fund the American Psychiatric Association, the National Alliance for the Mentally Ill, and other mental health institutions. Nearly one in four American adults are taking prescription psychotropic drugs, while America’s “war on drugs” has led to more people imprisoned in the United States (in total and per capita) than any other industrialized nation. If psychiatric drugs are chemically similar to illicit drugs and alcohol, and if all of these substances are used for similar purposes, then hypocrisy has created two ongoing tragedies: (1) an unfair incarceration of millions of Americans (mostly poor and without health insurance) for using illicit drugs, and (2) a denial of the societal realities for why millions more Americans (mostly not poor and with health insurance) are using psychiatric drugs. Do psychiatric medications in fact restore chemical imbalances that cause mental illness? Are psychiatric medications analogous to insulin? Or are psychiatric drugs more like illicit drugs and alcohol? While we know insulin can temporarily restore a chemical imbalance for a diabetic, we have no such scientific knowledge that any psychiatric drug restores a chemical imbalance for someone having emotional difficulties. We don’t even have scientific proof that mental disorders are caused by chemical imbalances. In 1998 the National Institutes of Health acknowledged that there is no known chemical imbalance—or any known biological basis—for attention deficit hyperactivity disorder (ADHD); and in 2000 the American Academy of Pediatrics confirmed this. Your doctor will tell you that neither a lab test nor a physical exam is used to diagnose ADHD, which is in fact determined on the basis of behavior checklists. The chemical imbalance theory of ADHD is just that—a theory. Many are upset to discover that SSRI drugs such as Prozac, Zoloft, and Paxil have much in common with Ecstasy. SSRIs enhance serotonin—also enhanced by Ecstasy (which increases serotonin by a somewhat different mechanism and has a quicker and more intense “pop”). Throughout the 1990s we were told by drug companies that SSRIs were neither dangerous nor habit forming. However, in 2000, Harvard Medical School psychiatrist Joseph Glenmullen reported that SSRIs are linked to neurological disorders indicating potential brain damage, and he noted: “Withdrawal syndromes—which can be debilitating—are estimated to affect up to 50% of patients.” Thus, not only is there no evidence that SSRIs (or any other psychiatric drug) restore chemical imbalances, the withdrawal effect of these drugs is actually evidence that they create chemical imbalances. 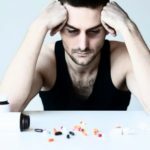 The withdrawal effects of the benzodiazapine tranquilizers such as Xanax, Ativan, or Klonopin are exactly the same as those of alcohol (e.g., shakiness, loss of appetite, muscle cramps, memory and concentration problems, insomnia, agitation, and anxiety). Not only are the clinical and withdrawal effects of benzodiazapines the same as alcohol, so are the biochemical effects, as both work on the body’s GABA system. Pharmaceutical companies have spent billions of dollars attempting to convince us that psychiatric drugs are just another kind of medicine and to accept their version of what’s reasonable. Their version goes something like this: “While some medicines do turn out to be dangerous and other good medicines can be over-prescribed, it is extremist to say that psychiatric medications don’t have their appropriate use.” This version of what’s reasonable would be correct if we were talking about nonpsychiatric medications. However, the history of psychiatric drugs is far different than the history of nonpsychiatric medications. In the history of psychiatric drugs, all are ultimately found to be either (a) highly addictive, as evidenced by withdrawal; (b) highly ineffective, compared to a proper placebo; (c) highly dangerous, in terms of short-term or long-term adverse effects; (d) all of the above. When one realizes that psychiatric drugs are—chemically and clinically—in the same category as illicit drugs and alcohol, then the pharmaceutical companies’ version of what’s reasonable becomes unreasonable. Calling psychiatric drugs medicine while at the same time labeling illicit drugs and alcohol as poisons is a triumph of sorts. It is a triumph of marketing over science and a triumph of injustice over compassion. It is also a triumph of denial and evasion. By this hypocritical labeling process, we can deny the devastating societal impact of a corporate hegemony that worships markets rather than life, because we’ve been “enabled” to evade this question: Why do increasingly more of us need to take the edge off?